Established Profitable Bar with Full Kitchen and lots of History! SBA Loan Possible for Solid Experienced Buyer with good Credit with 20% down. This Bar and Restaurant is situated in Placer County in a rural area just minutes to I-80. This Establishment is know for it's comfortable relaxed atmosphere and a variety of cleintle on various days of the week. This is a Hot Spot for Libations, Music, Fun and Food! Lots of Goodwill and the sales reflect it. 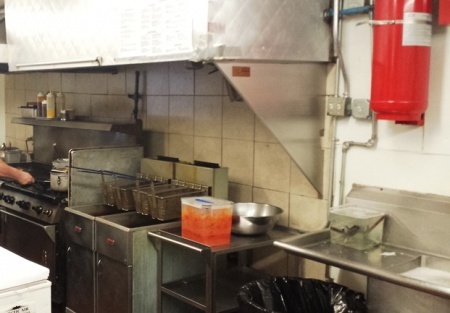 The Kitchen includes Large Hood Sytem, Grills, Walk in Coolers, Prep tables, Security Cameras, 3 station POS and much more. Sales 2013 were right around $1.1 million. 2014 Adjusted net cash flow $196,578...Annualized from 7/20/214 to year end results. Lease $6,695 at an estimated 6,500 sq. ft.
Great oportunity and Potential to make a good living for a good operator! Reason to sell: Current owner is pursuing other business ventures to create more family time. All Buyers will need to provide proof of ability to purchase (fill out a simple one page profile and/or bank statement) upon request for financials and further information.